STUNNING 4 beds, 2.5 baths, lightly lived in home is located a half mile west of the Dallas North Tollway in the coveted Cobb Farm neighborhood! This single owner home features the master bedroom downstairs and a game room with 3 bedrooms upstairs. Great curb appeal with a big front yard and wonderful landscape! Family room has wood floors and a stone fireplace. Gourmet kitchen with beautiful wood cabinets, stainless steel appliances, granite counter tops and a breakfast bar! This home is on an oversized, nearly quarter acre lot with an extended covered patio. Radiant barrier! Walk to the neighborhood park and pool. 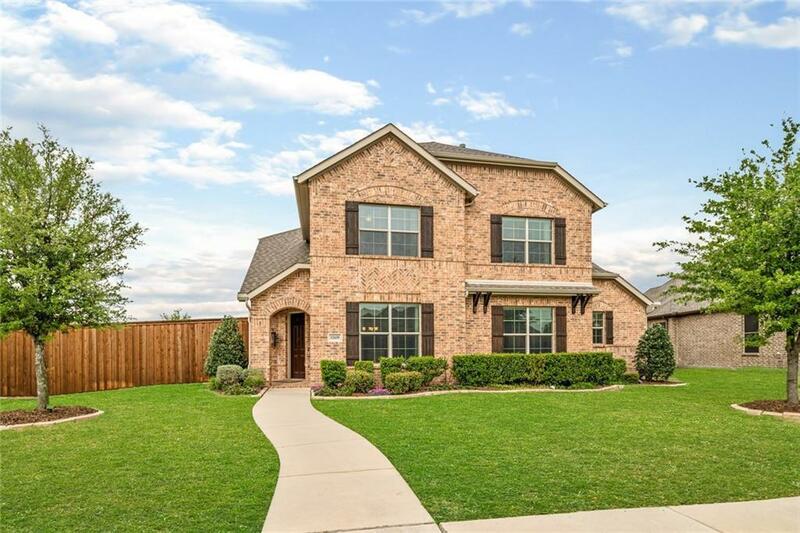 Home is zoned to award winning Frisco ISD schools! See this home today before its too late.